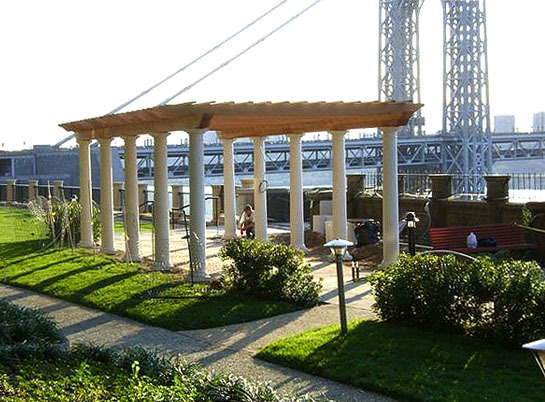 A very large formal style pergola was erected overlooking The Hudson River in Manhattan. Designed as a focal point in a park to provide shade, the structure is 12' wide by 48' long on center to the columns, with 2' overhangs. 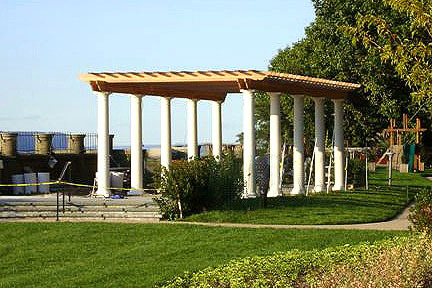 The height clearance is 8', which is fairly typical of pergola structures.